DST is recruiting Australia's brightest STEM graduates! What is the Research and Innovation Program? As part of the Defence Graduate Program, the Research and Innovation (R&I) stream is a dedicated Science and Technology pathway that leads to graduate employment at DST. 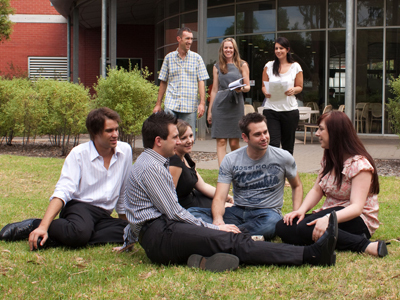 The R&I program consists of two-rotations (8 & 4 month) across major science and technology capability areas within DST or more broadly in Defence and provides graduates the opportunity to apply the knowledge learnt through their undergraduate degree to real-life, cutting-edge Defence research programs. Candidates must have completed a minimum of a relevant Honours degree with no more than 2-years relevant experience and want to further develop their research skills through a DST supported PhD in the future. During the graduate program, graduates are paid a Graduate APS 4 salary of $65,133 plus 15.4% superannuation. Upon successful completion of the program, graduates will receive $71,109.